The fourth book in Baum's Oz series, Dorothy returns to lands of magic and fantasy with her cousin Zeb, kitten Eureka, and a cab-horse named Jim. They encounter vegetable people living under the world, and Dorothy is reunited with the Wizard of Oz when he floats down in his hot air balloon. They later are aided by invisible people in the Valley of Voe, and must escape several unfriendly mythical creatures to return to Oz. Baum's vivid imagination and creativity are readily apparent in this adventurous work, for he combines wonderful characters with an entertaining plot in a land at once familiar and full of enigmatic possibility. Lyman Frank Baum was an American author, actor, and independent filmmaker best known as the creator, along with illustrator W. W. Denslow, of one of the most popular books in American children's literature, The Wonderful Wizard of Oz, better known today as simply The Wizard of Oz. Born in Chittenango, New York, into a Protestant family of German origin, he was the seventh of nine children born to Cynthia Stanton and Benjamin Ward Baum, only five of whom survived into adulthood. He was named "Lyman" after his father's brother, but always disliked the name, and preferred to go by "Frank." Frank started writing at an early age, perhaps due to an early fascination with printing. When his father bought him a cheap printing press he used it to produce The Rose Lawn Home Journal with the help of his younger brother Harry. Then in 1897 he wrote and published Mother Goose in Prose, illustrated by Maxfield Parrish. Mother Goose was a moderate success, and allowed Baum to quit his day job. 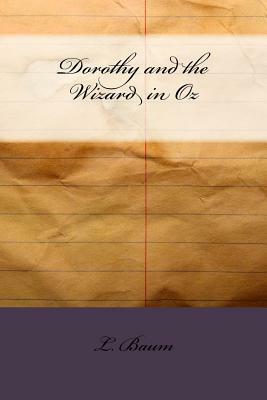 In 1900, Baum and Denslow published The Wonderful Wizard of Oz to much critical and financial acclaim, the book went on to become the bestselling children's book for two years after its initial publication, and the legacy was born.